WISCONSIN RAPIDS, Wis. (Jan. 11, 2017) – Renaissance, the leader in pre-K–12 learning analytics, today announced the appointment of John Roselli as the organization’s chief strategy officer, effective immediately. As chief strategy officer, Roselli is responsible for leading strategic planning, new market business development, and mergers and acquisitions for the organization. He will oversee Renaissance’s strategy and business development team, and will help grow the organization’s footprint domestically and internationally to continue to support educators and students worldwide. He joins Renaissance from Adtalem Global Education, a $2 billion publicly held education provider. There, he held several leadership positions, including senior vice president of corporate development and strategy and, his most recent role, president of Adtalem’s Becker Professional Education division. Roselli brings to Renaissance more than 25 years of global experience in business strategy, operations, finance, and acquisitions. During his 14 years at Adtalem, he initially oversaw strategy and business development, leading the process of diversifying the organization through multiple major acquisitions. He was later promoted to leadership of the professional education division. 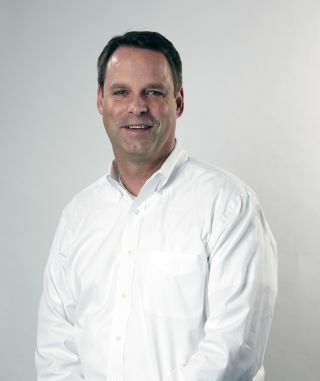 Previously, he served as chief financial officer and vice president of business development at Indeliq, and as vice president, business development for W.W. Grainger’s Internet commerce unit. Renaissance is the leader in pre-K–12 learning analytics, enabling teachers, curriculum creators, and educators to drive phenomenal student growth. Renaissance’s solutions help educators analyze, customize, and plan personalized learning paths for students, allowing time for what matters—creating energizing learning experiences in the classroom. Founded by parents, upheld by educators, and enriched by data scientists, Renaissance knows that learning is a continual journey, from year to year and for a lifetime. Our data-driven, personalized solutions are currently used in over one-third of U.S. schools and more than 70 countries around the world. For more information, visit www.renaissance.com.